A new electronic facility from BT, which allows goods imported and exported by air to continue to flow through UK Customs following an unplanned IT outage, is ready to use having been approved by HM Revenue & Customs (HMRC). This means that, in the event of a technology outage affecting the Customs system, air freight being exported out of the UK – including fresh Scottish Salmon, urgent pharmaceuticals or banknotes - will reach its destination on time. Imported goods and personal items flown into the UK - whether that’s large consignments of the latest computer games, or pets travelling home with their owners - won’t get delayed unnecessarily at the airport waiting for Customs clearance. An IT systems failure would cause huge backlogs in air cargo entering and leaving the UK, create mayhem at airports and cost the UK economy tens of millions of pounds. The air cargo industry plays a major role in the UK economy: according to a report issued by the Airports Commission in 2015, around 40 per cent by value of the UK’s trade outside the EU is transported by air, with the total value of tradable goods through UK airports exceeding £140 billion in 2014. BT’s new facility will keep UK imports and exports flowing should HMRC’s existing IT system for processing Customs clearance be affected by an unexpected outage. The new electronic facility will grant authorised traders in the UK with delegated clearance to ship and import goods without delay, avoiding any backlogs in UK air freight that would result from having to resort to a manual system for processing Customs clearance. Colm O’Neill, managing director, major business and public sector at BT, said: “BT’s technology facilitates the import and export of goods into and out of the country – another example of how our business is supporting the UK’s critical national infrastructure. The role of the air cargo industry in helping to fuel the economy is even more critical in light of Brexit. So with agreement from HMRC and the wider industry, we’ve developed a facility to ensure that air freight continues to flow through Customs in a smooth and timely fashion should technology issues occur. BT is unique in being able to offer this service. Steve Parker, DHL’s Head of Customs for Europe and Chairman of the CCS-UK User Group, said: “We have recently seen the horrendous impact of major IT system failures in aviation and this cannot be allowed to happen to the UK air cargo industry - which provides a crucial service to UK trade and industry, helps maintain our competitiveness on the world stage and supplies urgent commodities that are sometimes a matter of life and death”. BT built and operates a service (called CCS-UK) which facilitates the international movement of UK air freight, and passes clearance requests to HMRC for authorisation. 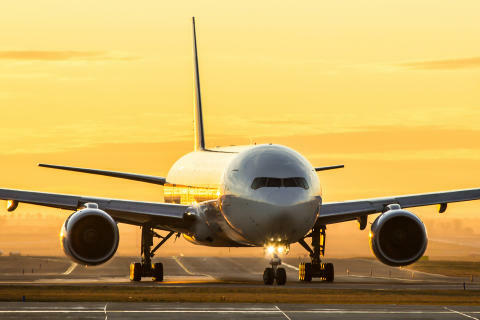 As an enhancement to the existing service, BT’s Air Logistics unit has been working closely with the representative body for the air cargo community (CCS-UK User Group), together with HMRC and the wider industry, to design and develop the new facility. It has been designed to process Customs clearances for up to 30 days following a major IT outage, allowing plenty of time for HMRC’s CHIEF system (Customs Handling of Import and Export Freight) to be restored and keeping air cargo moving during the interim. To encourage the industry to practice the use of the new facility in a live environment, a series of trials are being planned where access to the CHIEF system will be temporarily closed down. In addition to providing protection from unplanned outages, BT’s new facility will also smooth the eventual transition from CHIEF to its replacement (CDS), enabling the air cargo industry to continue functioning as normal in the event of any teething problems with the new hardware or software. BT Air Logistics – part of BT’s Business and Public Sector division - runs the CCS-UK service which handles the UK’s Air Cargo messaging and Customs declarations. The CCS-UK high availability and resilient systems facilitate essential communication between the industry community and Customs, achieving timely movement authorisation. Electronic Fallback is just one of the service enhancements that BT Air Logistics is launching to improve and optimise the Air Cargo journey and enable customers to derive greater benefits from using the CCS-UK service. This is the trade body made up of representatives from the Air Cargo community (Freight Forwarders, Ground Handling Agents and Airlines). 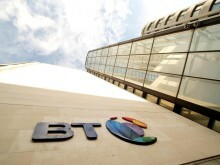 The CCS-UK User Group works with BT to agree the features of CCS-UK. It also lobbies HMRC on behalf of the community and BT, to accommodate modifications in processes, and beneficial IT system enhancements.